The JDBC API has always been cumbersome and error-prone and I’ve never been too fond of using it. The first major improvement was brought by the Spring JDBC framework which simply revitalized the JDBC usage with its JdbcTemplate or the SqlFunction classes, to name a few. 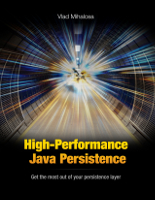 But Spring JDBC doesn’t address the shortcoming of using string function or input parameters names and this opened the door for type-safe SQL wrappers such as jOOQ. JOOQ is the next major step towards a better JDBC API and ever since I started using it I knew there was no turning back. JOOQ became my number one choice for building dynamic queries and recently it became my standard SQL function wrapper. 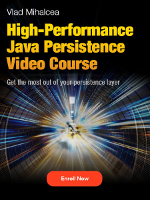 While you should never ever use your database for formatting a Date, since that’s the job of your application logic, for the sake of testing let’s concentrate on the input and output variable types since that’s where JOOQ excels over any other JDBC APIs. This is way better than standard JDBC API but I don’t like to use String parameter names or casting the return value. Since HSQLDB doesn’t support using OUT parameters for SQL functions I cannot make use of StoredProcedure or SimpleJdbcCall which might have offered a better alternative to the SqlFunction example. In my opinion, this is the most elegant SQL function wrapper I’ve ever used so far and that’s why it became my standard approach for calling SQL functions and procedures.